Dog owners often have to ask the question: Where can I go on holiday with my dog? Many hotels unfortunately do not allow four-legged companions and most dog-friendly hotels are very expensive. 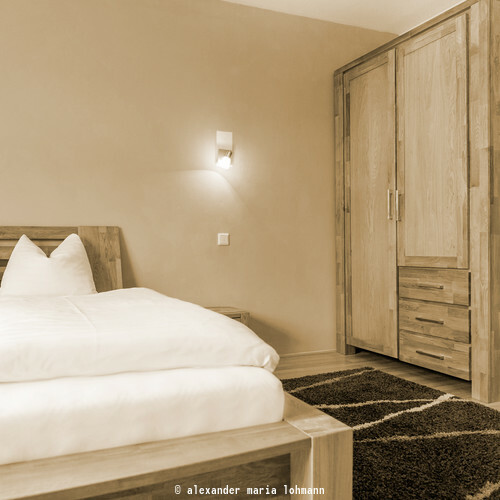 The Hotel Gasthof Am Riedl is a great alternative. We are a dog-friendly hotel and are always happy when guests bring their family dog along with them. Perhaps we are not as specialised as a hotel for dogs, but we can still offer you and your pet a lovely and relaxing holiday. 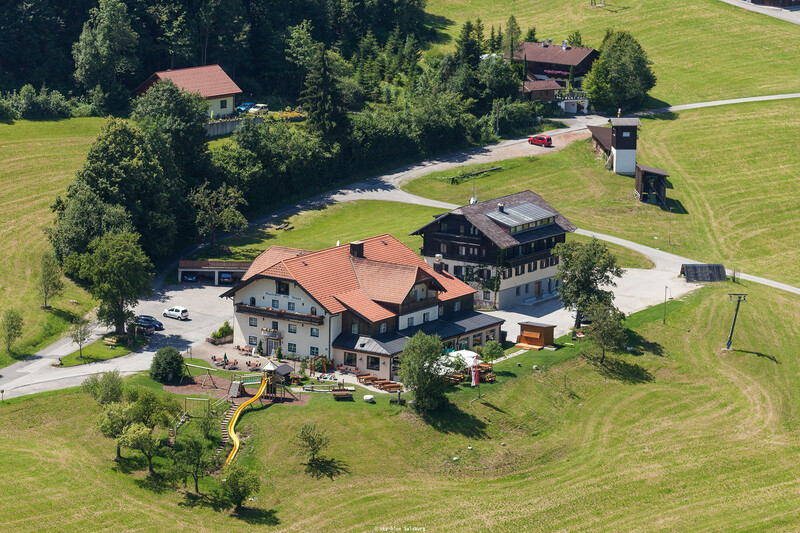 One major advantage of bringing your dog to the Riedlwirt is our excellent location. Sprawling fields and meadows far from traffic and dangerous streets stretch out in front of our dog-friendly hotel near Salzburg. Here your furry friend can play, run and have lots of fun. 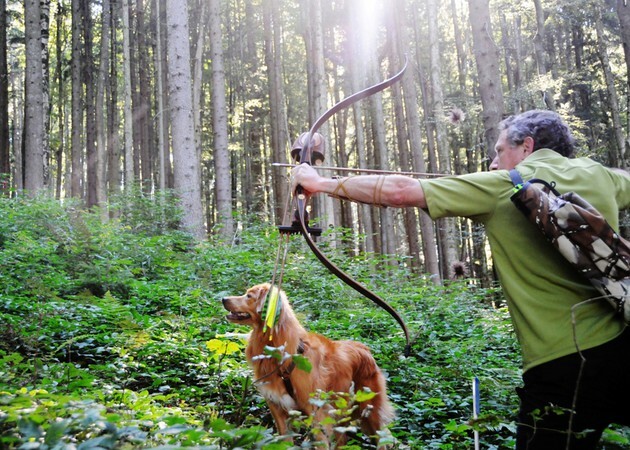 And your dog can even join you if you take a trip to the nearby archery course. 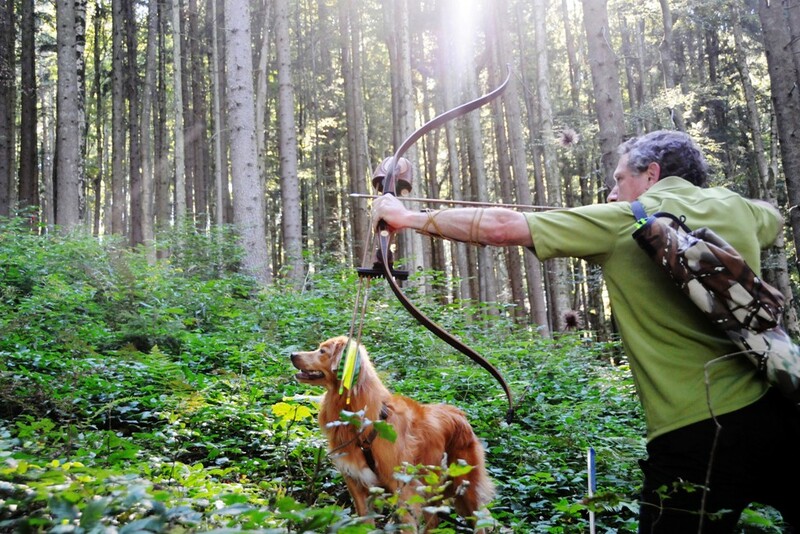 An excellent network of walking trails is waiting for you and your pet just outside the hotel. So you see, there is no shortage of opportunities for your dog to run around and be a dog on your holiday at the Hotel Gasthof Am Riedl! We don't mind if you take your dog into your hotel room or the restaurant. However, we do ask you to inform us in advance if you will be bringing your dog. Please note there is a € 7.50 surcharge to cover extra cleaning costs. We have special dog beds for your four-legged friends – simply ask! Perhaps we are not as specialised as a hotel for dogs, but we still look forward to hosting you and your dog! 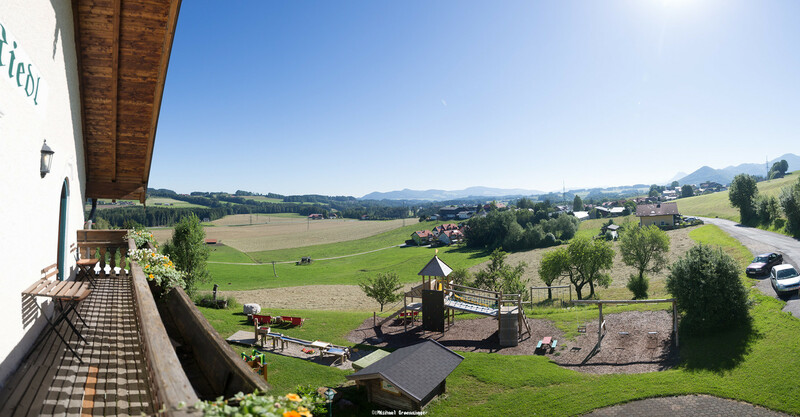 Don't hesitate to treat your loyal companion to a holiday at the dog-friendly Hotel Gasthof Am Riedl!